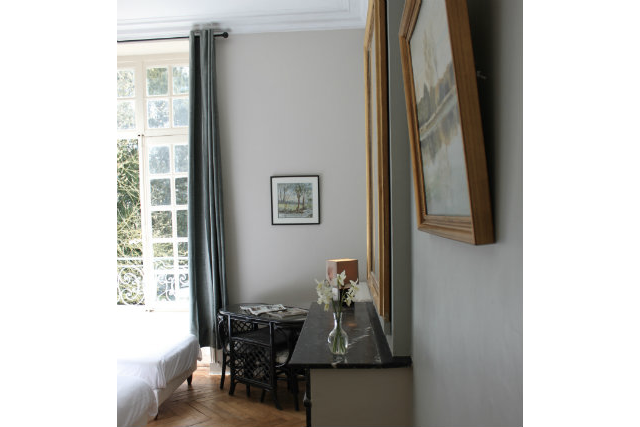 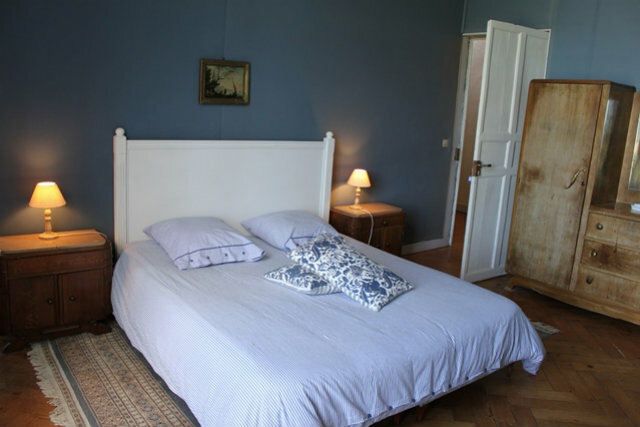 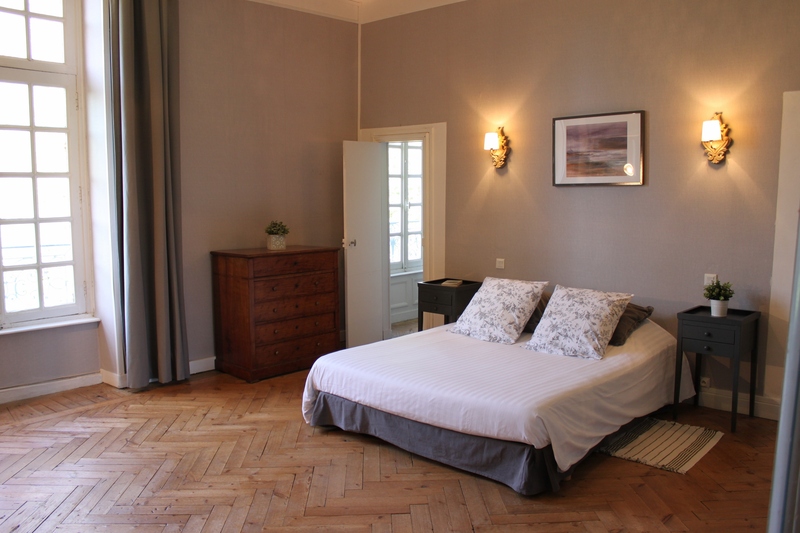 The Blue Room has a parquet floor and a fine old chimney in Caen stone. 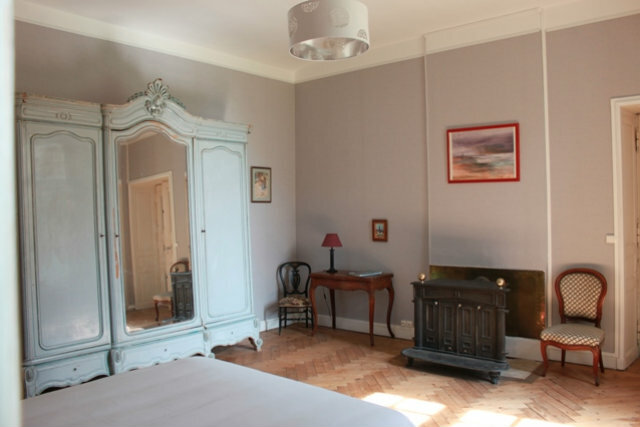 The room is situated on the first floor of the château overlooking the park, side ” water mirror and swimming-pool”. 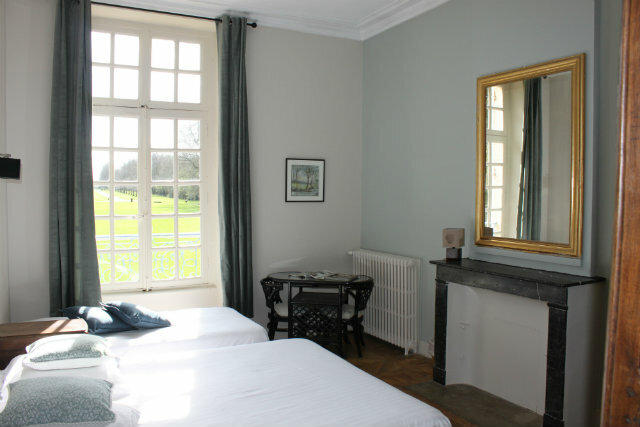 The Grey Room with a parket floor is situated on the first floor of the Château, overlooking the park side ” long driveway “. 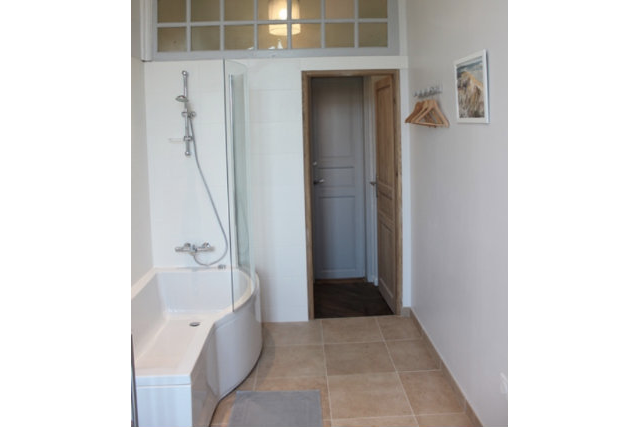 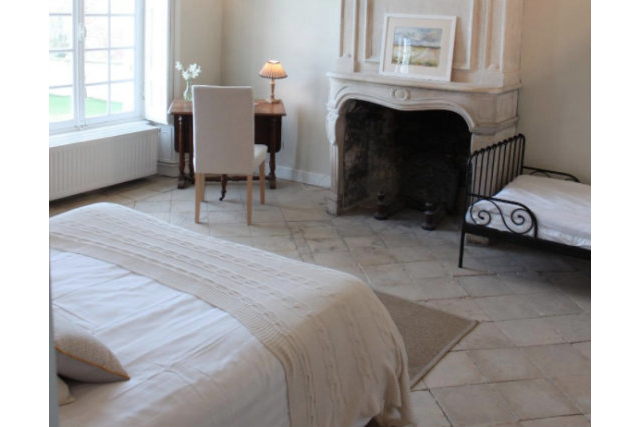 The Yellow Room has a beautiful chimney and a stone pavement of Caen. 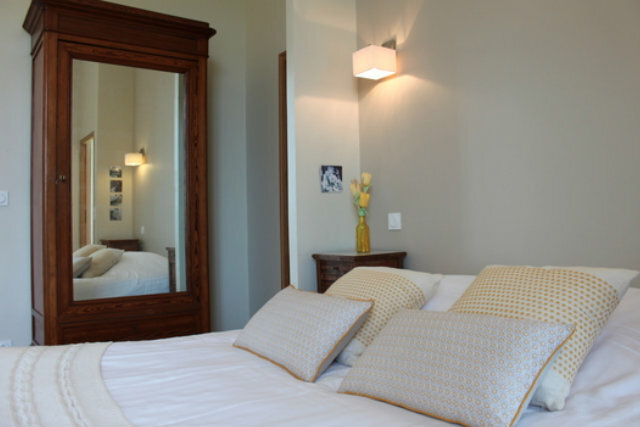 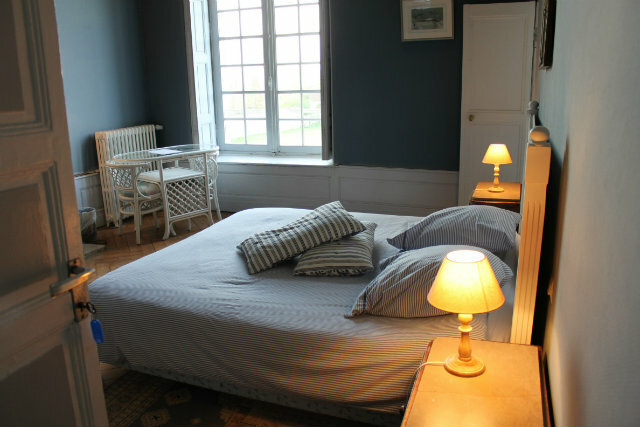 The room is located on the first floor overlooking the park side “water mirror and swimmingpool”. 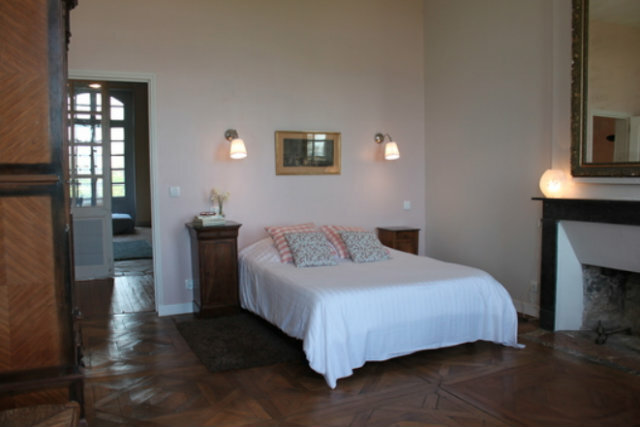 The Pink Room has a nice old parquet floor. 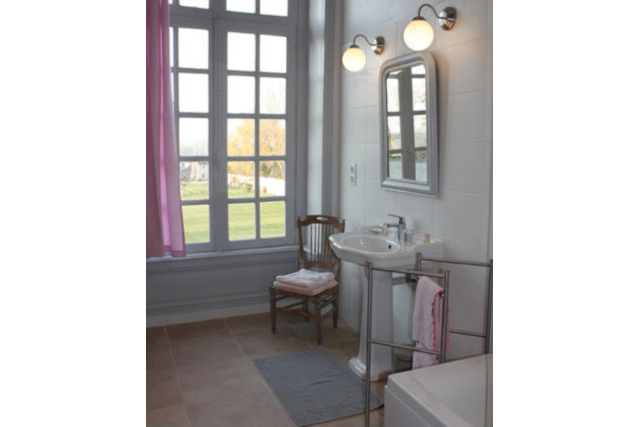 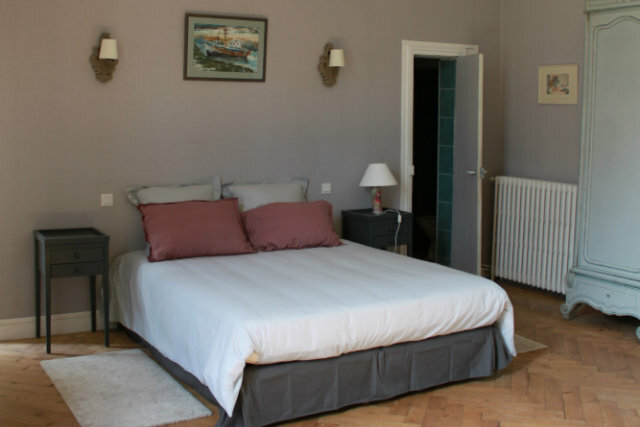 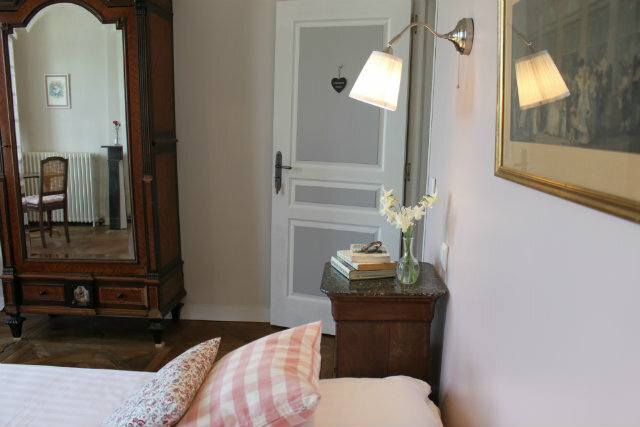 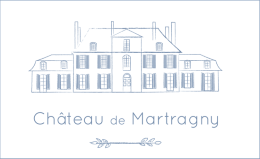 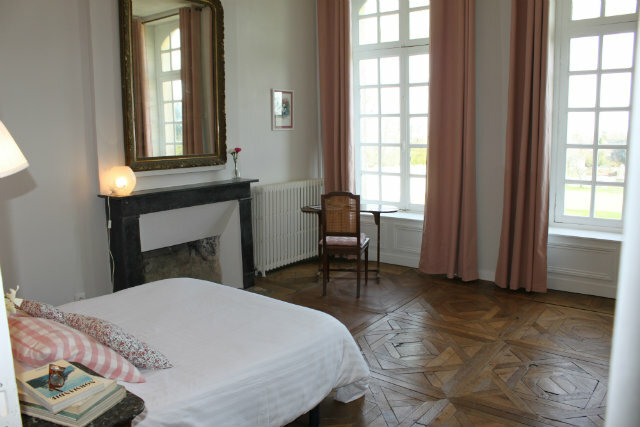 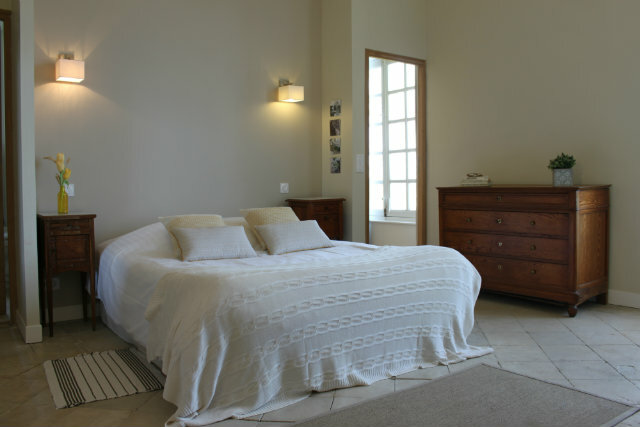 The room is situated on the first floor of the château overlooking the park side “water mirror and swimmingpool”. 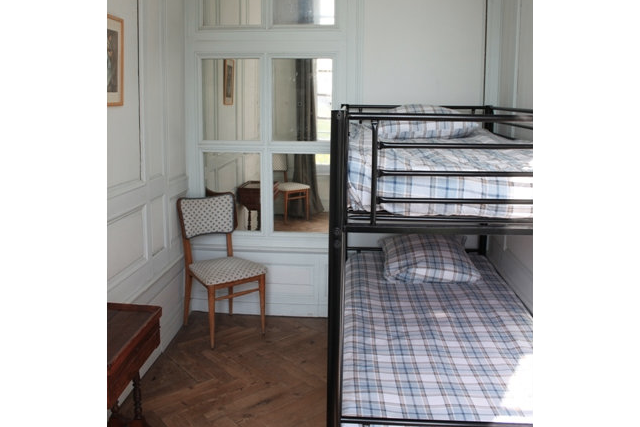 The Green Room is situated on the first floor of the château overlooking the park side ” long drive way “.